The Bell Tower Of The Church Of Saint Nicholas: A Late-Gothic.. Stock Photo, Picture And Royalty Free Image. Image 93848876. 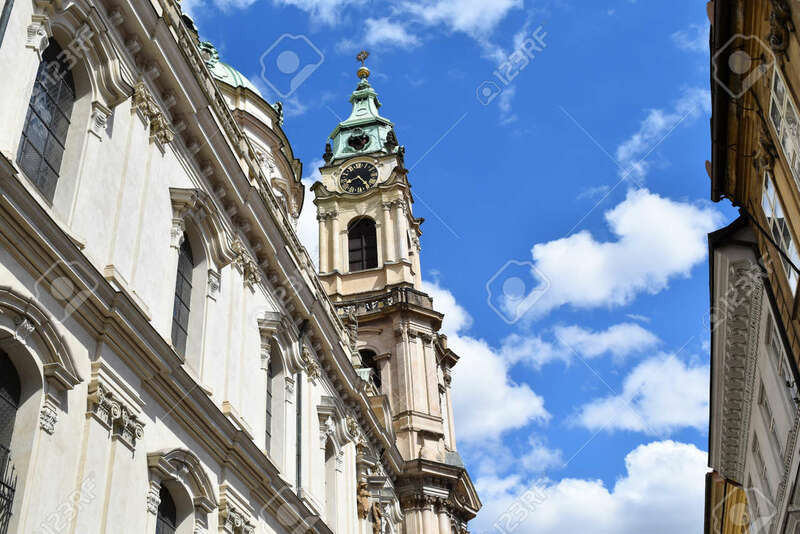 Stock Photo - The bell tower of the Church of Saint Nicholas: a Late-Gothic and Baroque cathedral in the Old Town of Prague in Czech Republic. The bell tower of the Church of Saint Nicholas: a Late-Gothic and Baroque cathedral in the Old Town of Prague in Czech Republic.